Ancistrus is a genus of freshwater from the family Loricariidae native to the Neotropical region. 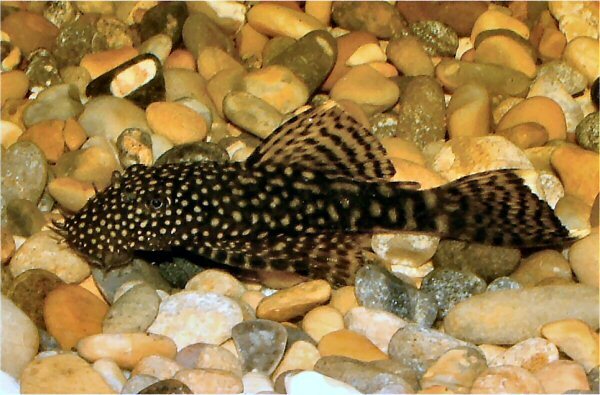 This fish has a body covered in bony plates and a ventral suckermouth, as a good Loricariidae. There is a peculiar characteristic associated with this genus: the tentacles located on the head in adult males; females may possess tentacles along the snout margin but they are smaller and they don't have tentacles on the head. They basically feed of phytoplankton and zooplankton, as most of catfishes; and have a special capacity of absorb oxygen from their modified stomach, which allow them to survive in low oxygen conditions. Now, you known one more cute Loricariidae that is being used in this project to study the molecular biodiversity of this huge family.